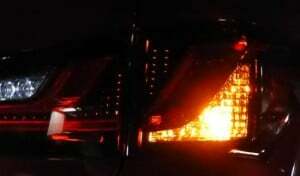 Home › Advice › When can you use your hazard warning lights? Your hazard warning lights are when all your indicators flash at the same time. They are designed to be used as a warning to other road users. There are some common misconceptions about hazard warning lights and when they can be used, and if you are a learner driver you may be confused about what you’ve read in the Road Code and what you see people doing. There are other scenarios where you should not use hazard warning lights, such as if you are driving slowly because you have a space saver wheel fitted, or simply to acknowledge another driver for something they did. What are the rules for hazard warning lights on your car? Cars and other light vehicles can have up to two pairs of indicator lamps both at the front and rear. Heavy vehicles can have up to three pairs either end. Motorbikes can only have one pair at the front and back. Vehicles can have one or two side-facing indicators on each side. An indicator must be mounted 1.5m above the ground or lower, unless the vehicle’s shape precludes this. Some vehicles have quite tall indicator lamps designed into light clusters, especially at the rear. In this case, they may be mounted up to 2.1m above the ground. On a heavy vehicle, only one of the pairs of indicators can exceed 1.5m above ground level and they must be mounted as close to the top of the bodywork as possible. Look for a button with a red triangle that is usually located near the middle of your dashboard. When you activate it you will see the green turn indicators flash repeatedly in your instrument cluster on your dashboard. All four indicators will flash in time with this and you should hear some kind of audible tone or click to let you know when the lights are flashing. Your indicators will not work while your hazard warning lights are active.